This is one of those posts that fall into the “better late than never” category – here are the September new releases that I’m getting. Seanan McGuire‘s ASHES OF HONOR (urban fantasy): If you’ve been reading my blog for a while (or even for the past few weeks, come to think of it), you know I’ve been a big fan of Toby Daye ever since the first book. Somehow Seanan McGuire gets better and better with each installment, and I’ve been so caught up in Toby’s story that it’s hard to believe this is the sixth book in the series already. I’ve already finished ASHES OF HONOR – without wanting to spoil things, it’s oh-so-satisfying on so many levels. 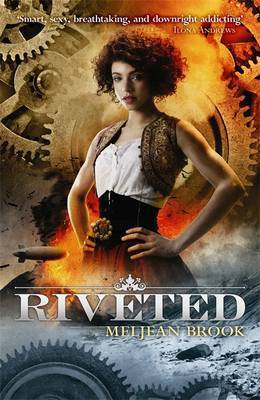 Meljean Brook‘s RIVETED (paranormal romance): This is the third book in her Iron Seas series. I hesitated a long time before I picked up the first book, THE IRON DUKE, because I stalled a couple of books into her other series (I do need to give them another go one day), but I really shouldn’t have. Her steampunk world is so intricately crafted (Hilcia referred to these books as social science fiction, which is an excellent description) and she gives good romance. 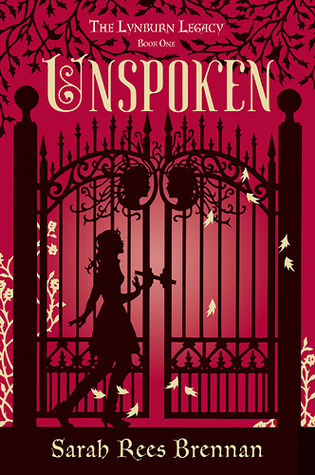 Sarah Rees Brennan‘s UNSPOKEN (YA paranormal): I’ve such love for Sarah Rees Brennan’s stories and this first book of the Lynburn Legacy trilogy sounds like a must-have. I mean, modern YA Gothic? Count me in, especially if the story’s laced with her unique brand of humour, which never fails to make me laugh out loud. 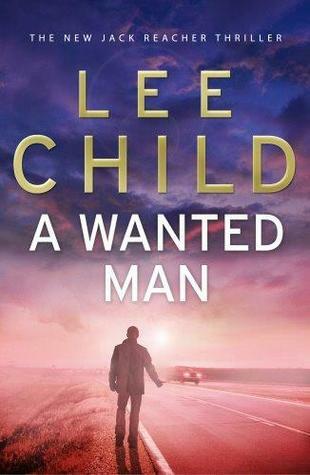 Lee Child‘s A WANTED MAN (suspense): I’m always excited about a new Jack Reacher (and admit that I am planning to see the movie, despite the Tom Cruise thing). I think the recent Reacher books have been a bit hit or miss (and have amped up the violence), but Lee Child’s still an auto-buy author for me. I really liked Joanne Dobson‘s Karen Pelletier mystery series, which was set in a New England college campus. She’s co-authoring a new series called Wartime in New York, and the first is out this month (FACE OF THE ENEMY) – I’m always a sucker for historical mysteries. I read Rae Carson‘s YA fantasy debut THE GIRL OF FIRE AND THORNS earlier this year and liked it well enough, though I think the positive hype led me to have overly-high expectations. The second, THE CROWN OF EMBERS, is out this month and while I do want to read it, I will most probably wait for the paperback. There’s a Christmas anthology called MISCHIEF AND MISTLETOE (less than 100 days to Christmas!) coming out this month – I wanted to get it until I realised it was around £8. Contributors are the historical romance authors who blog at Word Wenches, including Jo Beverley and Mary Jo Putney, so again, I’ll probably get it when it drops to a lower price point. The 2012 Hugo award nominees were announced last week – I feel as though I haven’t really read enough SFF last year to be able to comment knowledgeably (same with the RITAs, I admit). The most interesting aspect (to me) is that Seanan McGuire (aka Mira Grant) had four nominations in different categories – wow. Of the Best Novel nominations, I have James A Corey‘s LEVIATHAN WAKES in my TBR pile, and Hilcia recommends – I plan on starting it soon-ish (by the way, Hils got two Hugo nominees right, so I’m impressed!). She also recommends China Miéville‘s EMBASSYTOWN – this has less appeal to me at the moment. On the other hand, I’ve never read any of his works, so I could be missing out! I’m probably not going to read George RR Martin‘s A DANCE WITH DRAGONS, as it’s the fifth in a long-ish series, and I don’t see myself reading the first four. Similarly with Mira Grant‘s DEADLINE (despite my love for Seanan McGuire’s October Daye books), I’ve not read the first in the trilogy, so I’m not planning on picking that up. That leaves Jo Walton‘s AMONG OTHERS, and again the premise doesn’t appeal to me (though I do like the articles she writes at Tor.com). So that’s that for me and the Best Novel nominees – I’d love to hear your opinions on them if you’ve read any (or even if you haven’t!). As for the Short Story nominees, they’re all available online and John Scalzi (who is one of them) has kindly provided links. I need to check them out. And finally, I have to say I’ve never heard of any of the John W Campbell nominees before this, which makes me feel as though I’ve been living under a rock. While we’re on the SFF theme, Fantasy Cafe has been hosting a Women in SF&F Month, with some great contributions from authors and readers alike. I did the link-clicking thing and came across this list of female SF authors by Jessica @ Sci-Fi Fan Letter. It’s a good resource, though I’m not looking to actively read books written by female authors. If anything, I probably read too many female authors (by-product of being a romance reader, possibly?) – if I wanted to aim for more gender diversity, I would have to consciously try and read more books written by males. Having said that, Jessica’s point was that while there are a lot of females writing SF, you may not always guess that from award nominee listings. I’m on the fence – it’s nice in the sense she doesn’t have to do it and you know, I love Eve, but as I’ve already have MY BIG FAT SUPERNATURAL HONEYMOON, it’s really $2 for a short story. I think I’ll wait and see. Also, if you haven’t already heard, she has another new novella coming out with Subterranean Press – FORBIDDEN will be released in December. Seanan McGuire‘s put up a free short story in her InCryptid universe called NO PLACE LIKE HOME – I know I’m still on the fence on the Verity Price books, but I really like these prequel shorts. I’ve a soft spot for Jonathan and Fran. The Vorkosiverse is a feast of relationships, not just romances. I love how cousins Miles and Ivan interact as evil brothers who nonetheless trust each other unconditionally. The way marriages mature and change. The way the boy emperor, Gregor, grows into his insanely demanding role. Cordelia, Aral, Gregor, Mark—there are so many marvelous characters who are defined as much by their relationships as by their actions. Yes, we’re in the second half of the month. My excuse is that I’ve been on holiday (two things of note: (a) I have read so many books – total bliss! (b) why did no one tell me that Diana Wynne Jones’ Chrestomanci books are so much fun) and then fell into a bit of a post-holiday blogging slump – you would not believe how long it’s taken me to write this post. Seriously. I came thisclose to canning the entire post and just listing the titles. Patricia Briggs’ “Wolfsbane” (fantasy): The sequel to “Masques”, which I read when it was re-released a couple of months back. I also re-read another of her older fantasy novels, “When Demons Walk” last month – compared to her recent Mercy Thompson and Alpha & Omega UF books, I have to say both of these came off as having slightly rough edges, both still good reads though. I’m really looking forward to reading “Wolfsbane” and seeing how she now writes fantasy. Shapeshifting mercenary Aralorn leads a dangerous existence. Now she must return home for her noble father, the Lyon of Lambshold, has passed away. But when Aralorn and her companion Wolf arrive, they find he’s not dead, but ensorcelled by the ae’Magi, using him as a conduit to destroy Aralorn and Wolf. She must overcome this mysterious mist or fall to the blackest of magic. “Songs of Love and Death”, edited by George RR Martin and Gardner Dozois (fantasy/SF/romance): I really need to kick the anthology habit – I have so many sitting around half-unread because I tend to read a couple of stories before abandoning the entire book. I have no idea why, short attention span? But with some of my favourite fantasy and romance writers amongst the contributors to this anthology (Neil Gaiman, Diana Gabaldon, Jim Butcher, Jacqueline Carey, Jo Beverley, Mary Jo Putney to be more specific, full table of contents at SF Signal), I had to cave and get this. My only concern is the “star-crossed lovers” aspect – I’m hoping this will not be a tear-jerker of a book. Nalini Singh’s “Play of Passion” (paranormal romance): Ninth book in her Psy-Changeling series. I’ve a confession to make: I wasn’t exactly going to rush out and get this one straightaway. Don’t get me wrong – I like these books well enough, but I’ve been finding myself reading them months after release date. Also, “Blaze of Memory” (the seventh book) was not one of my favourites; I didn’t connect with the h/h, the resolution came off as a bit deux ex machina, and even the larger Psy plot arc which normally intrigues me didn’t quite capture my interest. Umm… yeah, safe to say BoM didn’t work for me. However, last week I read the eighth book “Bonds of Justice” (see massive book reading binge note above), and ended up really enjoying the romance as well as wanting to know what would happen next, which is always a good sign. So yes, I’ve already bought “Play of Passion”. Sharon Lee’s “Carousel Tides” (urban fantasy): I’m only familiar with Sharon Lee’s writing as part of the Sharon Lee & Steve Miller writing team for the Liaden books (and they have just sold three new Liaden books – yay! ), but as those rank amongst my favourite books, Ms Lee’s solo effort was certainly on my radar. I’ve already read this one and liked very much – I actually found it slightly reminiscent of Tanya Huff’s equally-enjoyable “The Enchantment Emporium” because of the way the fantastic is seamlessly blended with the real. “Carousel Tides” is not the all-guns-blazing type of urban fantasy; in fact it takes you quite a while to realise that this book is not a straight contemporary. I loved how this played out and also the unusual setting (a Maine amusement-park coastal town), which is so clearly portrayed that it is almost a character in its own right. Harper Fox’s “A Midwinter Prince” (m/m romance): I don’t think I’ve mentioned Harper Fox on my blog this year (unfortunately not an unusual occurrence – I haven’t blogged about many things this year, have I? ), but she’s one of my new-to-me author discoveries this year. I’m a total sucker for angst-filled stories, and boy, does Ms Fox deliver on that front. She also has a knack of writing characters that stay in your mind for way after you finish the last page, and I love the way she makes her very British settings come alive (her debut, “Life After Joe”, was all grimy industrial Newcastle, while the beauty and isolation of Cornwall came across wonderfully in her second novel “Driftwood”). When Laurie, son of a wealthy London baronet, takes a homeless young man off the bitter winter streets, he only means to shelter him. But Sasha is beautiful and passionate, and he knows what he wants. Soon the two are entangled in a wild and illicit romance. Sasha, an illegal alien, has dangerous connections and a violent underworld past that won’t let him go. Privileged Laurie has problems of his own — a brutal father who holds the keys to Laurie’s golden cage and would rather kill him than accept his son and heir is gay, let alone in love with a street urchin. Laurie’s only hope is to run. In a Romani encampment with Sasha, he finds not only a safe haven but sexual fulfilment beyond his wildest dreams. But their new happiness is fragile. Sasha’s secrets run too deep, and he vanishes, leaving Laurie desolate, as much an exile in his own city as Sasha has been. Now Laurie must grow up and find his own strength. Can he break free of his suffocating aristocratic world in time to save his lover and himself? Jim Butcher’s “Side Jobs” (urban fantasy): This is a collection of Harry Dresden short stories, most of which I’ve probably read already. The one story I know I haven’t read – and the reason why I want this collection – is “Backup”, which was the limited-edition novella published by Subterranean Press and narrated from Thomas’s point of view. I love Thomas, but could not quite convince myself to shell out $20 (IIRC) for a 72-page novella. Actually I lie – there would be a second story I haven’t read yet in this collection, as it also contains a previously-unpublished story taking place after the latest Dresden book. This one from Murphy’s viewpoint, apparently. Elizabeth Peters’ “A River in the Sky” (historical mystery): I posted about this last week when my copy arrived and I did a little dance of glee. The latest book in the Amelia Peabody series is set chronologically before “The Falcon in the Portal”, which is one of my favourites in the series due to ermm… various romantic entanglements, shall we say? For a change, “A River in the Sky” is not set in Egypt; instead Amelia & co are in Palestine, and while this expanded their adventures to a new locale, it also meant that I missed some of the familiar settings and characters. All in all though, I enjoyed revisiting the Peabody family, and can only keep my fingers crossed that there is yet another installment in this series. 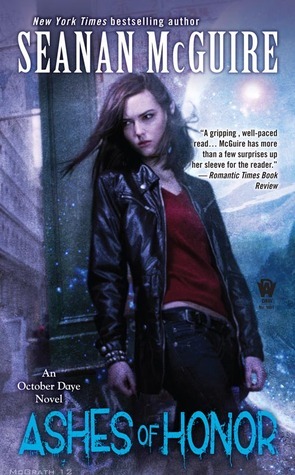 Kelley Armstrong’s “Tales of the Otherworld” (urban fantasy): Another April release I have already bought, this time during my failed attempt at attending a signing. This book collects a few more of the short stories Ms Armstrong previously published for free on her website, with all proceeds going to her chosen charity, World Literacy of Canada. I think I’ve previously read most, if not all, of these online, but it was nice to have them in a single book. There is also a new Eve story, which appealed to me, seeing Eve is one of my favourite characters. I would say that this collection is more for long-time fans as opposed to new readers, because of their origin as online freebies – the stories have been aimed at filling in the background of the main characters and therefore can feel somewhat open-ended if you haven’t read the full-length books. Sharon Lee & Steve Miller’s “Saltation” (SF): The second in a duology (the first is “Fledgling”), which covers events only alluded to in the main Liaden storyline. These two books are somewhat unique, as the authors serialised both online in return for reader donations, prior to selling both books to Baen. I bought this during my little Baen ebook haul a couple of weeks back, and while I liked (and read in one sitting), I have to add a caveat that this is probably not a book for readers new to the Liaden universe, which is a shame, because I remember thinking that its prequel, “Fledgling”, was a perfect jumping-off point. There were one too many references to off-screen (off-page?) events which would only make sense if you had read the previous books, and there is a bit of a cliff-hanger ending as the book brings you right up to the same point as the main storyline. Oh, and I have to add a cover note: for a Baen cover, this isn’t half-bad. I have just finished reading another Baen book that I really really liked, but had a cover that did it no favours. Jim Butcher’s “Changes” (urban fantasy): A new Dresden Files book and yet another April release I have already read, which must make it some sort of record. “Changes” was hyped as a turning point for the entire series, and when the first line of the book was revealed, it looked as though that would be the case. Verdict? As with all of his books (okay, most – I still haven’t managed to get through the first three books of this series yet), this was a good, solid fun read – he is an excellent storyteller. However, I continue to find Harry’s love life (or what passes for it) somewhat two-dimensional; his friendships are wonderfully strong, yet his romantic relationships fail to move me. If that changes, this would be up there as one of my all-time favourite UF series. Jo Beverley’s “The Secret Duke” (historical romance): Oh look, an April release I haven’t yet bought. Not for lack of trying, I was trying to find it in ebook format, but haven’t had any luck. You know how the most fascinating characters are usually saved for the last book? Well, this is the third book of Ms Beverley’s Secret trilogy, and in the previous two books (“A Lady’s Secret” and “The Secret Wedding”), I have been intrigued by the Duke of Ithorne, who is the focus of this story. This book is also part of her Malloren family series, which is set in Georgian times – I probably sound like a broken record by now, but I adore Georgian-set historicals. And Jo Beverley excels in bringing historical settings alive in her romances. Finally, two April releases I may get: Mary Jo Putney’s latest historical romance, “Never Less than a Lady”, a maybe only because I haven’t yet read the first Lost Lords book – I really need to get around to it. And the mystery anthology “Crimes by Moonlight”, edited by Charlaine Harris, and containing a “Sookieverse story”, i.e. a story set in her Sookie Stackhouse world, but not featuring Sookie herself. I want, not just for the Harris story, but also because the lineup and theme sounds great, however, it’s a hardcover so I will probably practise patience! Karen Chance has put up the first four chapters of a free short story set in her Cassie Palmer world, the rest of the story to follow soon, hopefully. This is the first of the short stories she’s writing to fill in the gap until the next Cassie book is released in summer 2011. I’m still keeping my fingers crossed that date will be brought forward – in the meanwhile, I’m all for more Pritkin, Marlowe, and Mircea. Jo Beverley, "The Marrying Maid"
Neil Gaiman, "The Thing About Cassandra"
Marjorie M. Liu, "After the Blood"
Mary Jo Putney, "The Demon Dancer"
Tanith Lee, "Under/Above the Water"
Yasmine Galenorn, "Man in the Mirror"
It’s out in November, a whole seven months away. The cover’s pretty cool too. And Seanan McGuire has been nominated for the John W Campbell Award for best new writer, one of the big SF/F awards. I totally adored her October Daye series, so yay for her nomination! Full list of Hugo and Campbell nominees is also up at the AussieCon website. For those UK readers considering the Kindle (and yes, that would include me), NextRead has an excellent post summarising what you will and won’t get. After shipping and taxes, the cost is around $387 according to this MobileRead post. Firstly, I want a UK store – why would I want to be held hostage to exchange rate fluctuations? And pay for shipping and taxes myself? And buy a UK power adaptor? The launch does feel rushed. They’ve certainly grabbed headlines by doing a massive worldwide launch, but there looks to have been some trade-offs. Secondly, I’m put off by the price: $387 roughly equates to £242. Too expensive to be an impulse buy, and let’s face it, I’ve a perfectly-working Sony Reader. And then there’s the surcharge of approx $2 on top of US retail prices. I’ll be curious to see what the pricing is like – both for the reader and for the ebooks – when they do launch the UK store. Thirdly, and probably most importantly, I want a ereader that supports the epub format, because that is rapidly becoming the common format across the industry (both Waterstones and WH Smith, among others, sell epub books). By only supporting the Amazon (Mobipocket-based) proprietary format, the Kindle will tie you in to buying books from Amazon*. So I’m holding off for now, but I’m glad to see ebooks becoming more and more mainstream. * Unless a store sells DRM-free (i.e. non-protected) Mobipocket books. A post on Word Wenches alerted me to the fact Jo Beverley and Mary Jo Putney are releasing their older books via a new UK publisher, Everlyn. I think I already have the books listed so far, but the new covers are gorgeous and very very tempting. Jo Beverley is doing a signing tour across England to support the re-releases (4-17 November 2009), and if I lived nearby, I would definitely want to go. Very cleverly, it’s billed as “… retracing the steps of her characters as they flee across the South of England”. Recommended read of the week: Ilona Andrews’ “On the Edge”. I love her (their? I’m never sure of how to refer to two writers writing under a single pseudonym) Kate Daniels series, so this was an auto-buy for me. The authors call it a “rustic fantasy”, as opposed to “urban fantasy”. I sort of think of it as fantasy romance, and actually, it reminded me of Western historicals. A very entertaining read, and I’m looking forward to the next book in this series. And I know the cover is not universally loved, but I like. The male model matches my mental image of Declan exactly. Reviews are up all around the web: The Book Smugglers (7 – Very Good), Angieville (Angie quoted one of my favourite passages in the book, and has more review linkage), Literary Escapism (loved), Dorkgasm (3 1/2 out of 5) to name a few. Let me know if you’ve reviewed “On the Edge” and I’ll add a link. Halfway through July and my sidebar is still displaying “May Books I Want”. I feel slightly embarrassed. I may even update it later today. Mary Jo Putney’s “Loving a Lost Lord” (historical romance): A straight historical romance from Mary Jo Putney. *happy dance* Her Fallen Angels series was one of the first historical romance books I read, together with Julie Garwood, Amanda Quick, et al., but it’s been quite a while since I last read one of her books. According to Ms Putney’s website, LaLL is the start of a new Regency historical series as well, so fingers crossed it’s a good one. Eloisa James’ “A Duke of My Own” (historical romance): The last of her Desperate Duchesses series, this is Villiers’ story. While this series has been slightly uneven at times, it has definitely been my favourite historical romance series over the past year or so. I’m hoping her next series will be just as good – I can’t wait to find out what she chooses to write next. Julia Quinn’s “What Happens in London” (historical romance): This is loosely tied to her “The Secret Diaries of Miss Miranda Cheever” book, but pretty much a stand-alone, from what I gather. A Quinn book never fails to make me smile, and I’ve been hearing pretty good things about this one. Jenna Black’s “Speak of the Devil” (urban fantasy): Fourth in her Morgan Kingsley series, Morgan being a demon exorcist. I was almost ready to stop after the second book, but the third one redeemed this series IMO, so I’m now excited about the fourth. Nalini Singh’s “Branded by Fire” (paranormal romance): Part of her Psy-Changeling series, this is Riley and Mercy’s story. This is one of the few paranormal romance series I read, as Ms Singh manages to combine really strong world-building with wonderful romance. I have no idea why I haven’t bought this one yet. Must go get. Now. Linda Howard’s “Burn” (romantic suspense): I really really wish Linda Howard had a website. And I wish Piatkus Books would publish the UK version closer to the US release date – Amazon is currently showing October. Oh well, it is a Linda Howard so I will buy. I’m hoping it’s not as outdoor-survival-focused as her recent ones. Suzanne Brockmann’s “Hot Pursuit” (romantic suspense): The latest in her Troubleshooters series, this is a Sam and Alyssa book, IIRC. There was a whole lot of controversy around her January release earlier this year, but I haven’t heard much about this one. Or maybe I just haven’t been hanging out in the right places. And finally, the anthology “Strange Brew” is already sitting on my bedside table. Edited by PN Elrod, it has short stories by Patricia Briggs, Jim Butcher, Karen Chance, and Charlaine Harris, amongst others. My thoughts so far? The Briggs story didn’t really grab me until the last few pages, Jim Butcher’s contribution is a nice Harry Dresden interlude, the Karen Chance one is very representative of her non-stop action writing (I really liked it), and the Charlaine Harris story is slightly disturbing (set in her Sookie Stackhouse universe but no Sookie). I’ve had an incredibly mad week at work. Though we are expecting some major announcements next week (job cuts anyone? ), so I’m guessing that being busy is better than sitting around doing nothing. Errmm. Let’s see. So anyway, I missed Keishon’s TBR Challenge this week. For the first time ever. Am slightly annoyed with myself, seeing that I had the book picked out and everything, but it just didn’t happen. I have so far read a grand total of four books in February and there is only one more week in this month. I’m doing rather dismally. I have bought the anthology “The Mammoth Book of Paranormal Romance” though, and in the interest of actually providing some useful information on my blog this week (as opposed to having a general moan), here’s the link to its Table of Contents, listing author and story. Plus a few pages of Carrie Vaughn’s contribution. And ummm… that’s it. I did say I really hadn’t read that much this month. Mary Jo Putney’s story “The Tuesday Enchantress” (love this title too) has “A Guardian Story” as the subtitle, but a contemporary setting so I’m slightly confused. Possibly featuring a descendant from her historical series.